To get an idea of the stratospheric level the Tulsa Jam'Bassadors have reached in this year's Charles Mingus High School Festival and Competition, consider this: the band is one of only three semifinalists nationwide, and its competitors are the Jazz at Lincoln Center Youth Orchestra and the New Jersey-based Jazz House Big Band, which is connected to an internationally known arts organization. Going head-to-head with outfits like those is a pretty big deal, and so is traveling to New York to participate in not only the competition but also in world-class jazz workshops. To help raise money for the expenses involved, the Tulsa Jam'Bassadors are scheduled to play a concert Friday, Feb. 5, at the Oklahoma Jazz Hall of Fame. The program will include their versions of the three Charles Mingus compositions that got them into the semifinals: "Jelly Roll," "Duke Ellington's Sound of Love," and "GG Train." "The Mingus competition is an opportunity that a large portion of these young musicians never could've had otherwise," says Jam'Bassadors' director Doug Styers, the middle school and assistant high school band director at Edison Preparatory School in Tulsa. "Getting to experience New York and even to perform with musicians who are actually a part of the Mingus band is really an exciting opportunity for them. They'll get to see, hear and interact with the Mingus group. They'll get to meet Sue Mingus, who was Charles's wife. Our bass player will get to perform on Charles Mingus's bass, which is a once-in-a-lifetime opportunity. There'll be master classes for each instrument type. Our students learn a lot out of them." The previous trip the Jam'Bassadors took to the competition in 2013. Although they didn't win the band contest, Edison sophomore Jonathan Haywood took the Outstanding Soloist Award for Drums, Tulsa School of Arts & Sciences senior Kaze Mauser won a similar award for piano, and the saxophone section, led by East Central's Adrian Miller, also scored a top rating. It was the first year of the Jam'Bassadors' existence and the fifth year of the Mingus event, named for the famed jazz composer, bandleader, and bassist, who passed away in 1979. 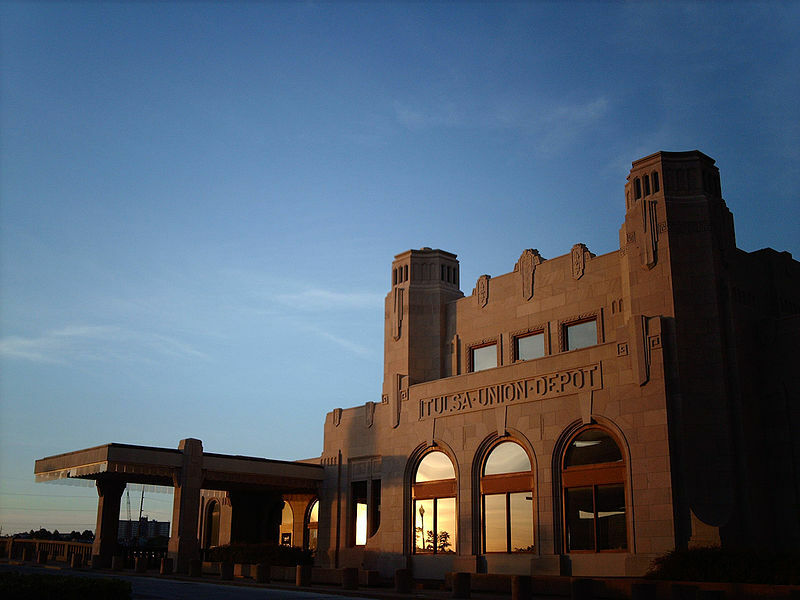 The band's sessions are held at the Oklahoma Jazz Hall of Fame, which was the catalyst in starting the Jam'Bassadors in the first place. "We wanted to put together an all-city - really, an all-regional - band that was merit-based and open to everybody," says Jazz Hall CEO Jason McIntosh. "It's for those young musicians who love music and want to learn and be around like-minded people. "Of all the things we do at the Oklahoma Jazz Hall of Fame, music education is where we spend most of our time and treasure," he adds. "It's what drives our institution. We do a lot of performances, which are great for the musicians and those who love what they created. We have an incredible archives and record library. But really, it comes down to making sure that, despite all the current challenges, music education is thriving and well in the state of Oklahoma. We do over two dozen programs - after-school programs, summer programs, and as one of our premier programs, the Tulsa Jam'Bassadors have been a great experience. It's wonderful seeing young musicians learning the value of hard work and working together." In this, their second time as semifinalists, the Jam'Bassadors will again be competing in the Big Band - Specialized Schools and Programs category. "That's the category for any group that comes from more than one school," explains McIntosh. "We're made up of students from all around the Tulsa Public Schools district; we have a good amount of students from Tulsa Edison and Booker T. Washington, and we have two students from Owasso, one from Berryhill, two from Metro Christian Academy, one who's home-schooled. This is an extracurricular activity for them all." In addition to providing the space for the band to rehearse, the Jazz Hall brings in musicians to give lessons to individual members and sections. Since there is no cost to the students for any of this, funds must be solicited to take care of the expenses. "Getting them there and taking care of their accommodations, plus paying those who come in to teach and mentor them, is going to take close to $20,000," says McIntosh. "Their parents have been very helpful with the fundraising, and we have other patrons who are connected through their love for music and education and what the Jam'Bassadors are doing. We appreciate everyone who's helping build this incredible program. It's a tremendous opportunity for these students." 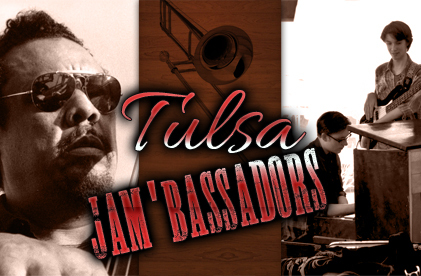 The Tulsa Jam'Bassadors fundraising concert is set to begin at 7:00 p.m. Friday, February 5, at the Oklahoma Jazz Hall of Fame, located in downtown Tulsa's Jazz Depot, 111 E. First Street. Tickets can be purchased at the Depot, from www.jazzhalltickets.com, or by calling 918-928-JAZZ. General admission is $10, reserved table seating $20. The Oklahoma Jazz Hall of Fame is a non-profit cultural and educational organization, with a mission to inspire creativity and improve the quality of life for all Oklahomans through the preservation, education, and performance of jazz, our uniquely American art form.